Have you noticed this unusual plant populating your lawns and Landscapes this spring? I have noticed a significant amount this year over years past. Weather playing a part? I think so. This unusual weather pattern has triggered different pests this spring that we are not used to working with. This winter annual weed is called bittercress. Most prolific from late fall through early spring. This weed is most problematic in propagation and overwintering. 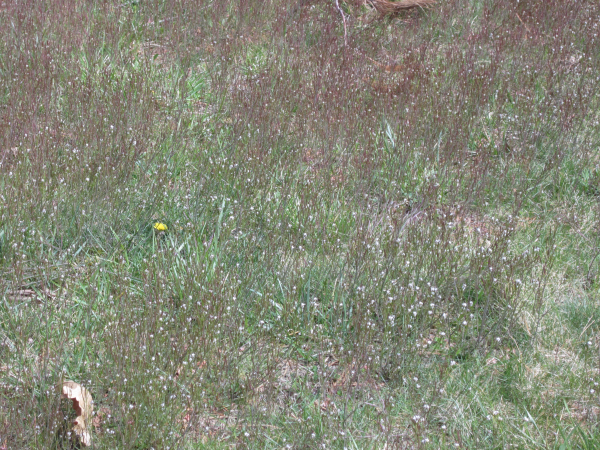 Despite being a winter annual, bittercress will germinate and grow throughout the year due to the cool environment provided by daily overhead irrigation. Plants form a small mounded clump generally 4 to 8 inches tall and wide. However, during warm summer months, bittercress generally grow much smaller. Often, many seedlings germinate in a small area so that they appear as a large, dense mat. How to manage: A typical season bittercress is hardly noticeable and fades away with the warm temperatures. I would recommend mowing, hoeing or hand pulling these plants. This will prevent the plant from spreading its seeds (catch it before it flowers) and becoming a larger problem. This will control the plant without the need of chemical interference. Ultimately, having a thick lush turf will be control enough for this weed and should consider aerating, topdressing and seeding these areas heavily later this summer.